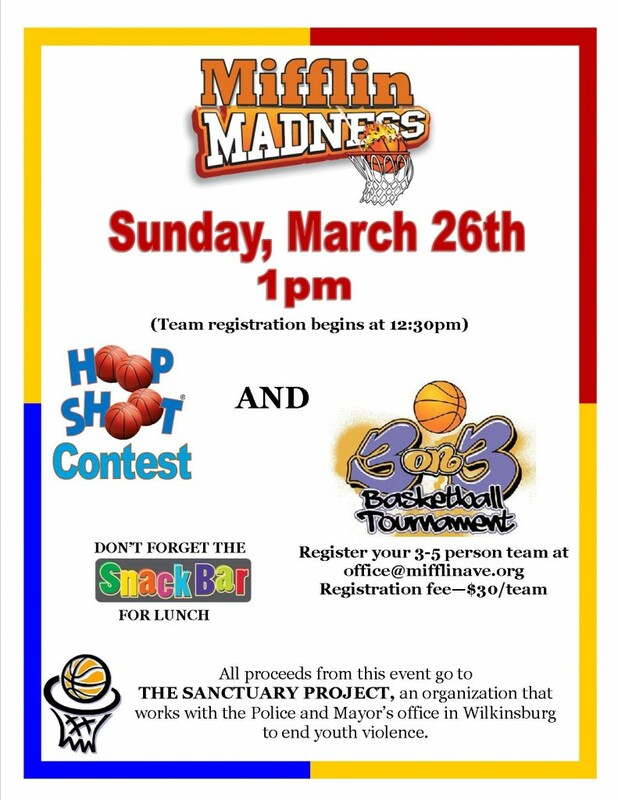 Mifflin Avenue will be hosting its annual basketball tournament fundraiser, Mifflin Madness, on Sunday, March 26. Proceeds benefit The Sanctuary Project, an organization that works with the mayor’s office and police department to help end youth violence in Wilkinsburg. All ages are welcome.